An isolated neutron star — with a low magnetic field and no stellar companion — has been found for the first time outside of the Milky Way galaxy. Astronomers used data from NASA's Chandra X-ray Observatory, the Very Large Telescope, and other telescopes to make this discovery. Neutron stars are the ultra dense cores of massive stars that collapse and undergo a supernova explosion. Future observations at X-ray, optical, and radio wavelengths should help astronomers better understand this lonely neutron star. Suppose the Megellanic Cloud was rotating with respect to the Milky Way, would that rotation cause the alignment we see now? 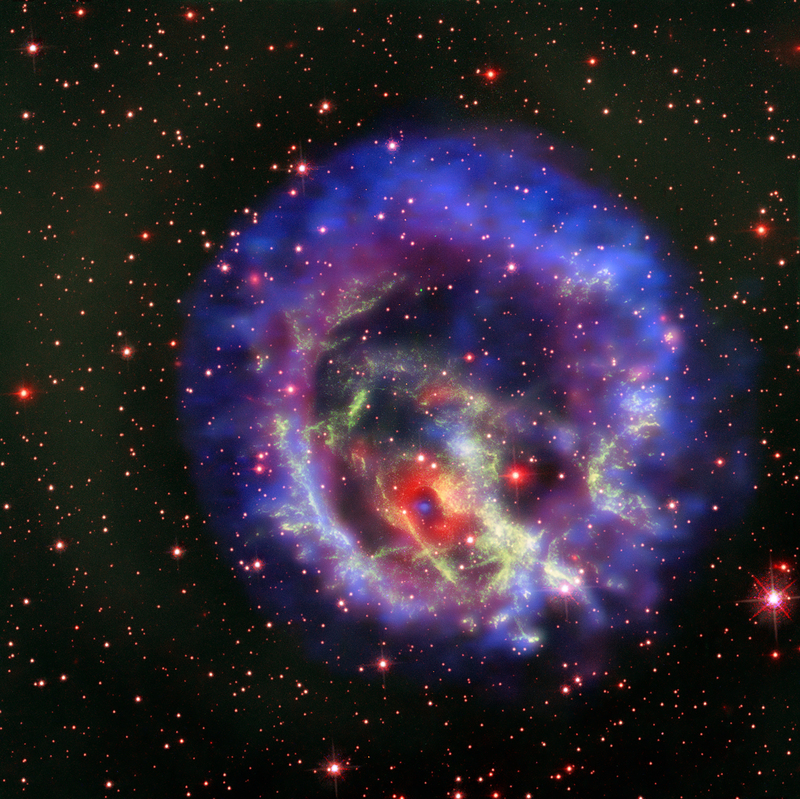 A supernova remnant with a neutron star. About 200,000 light years from Earth. X-ray light from Chandra and optical light from VLT MUSE and Hubble Space Telescope. About 165 light years across. X-rays are blue and purple; Optical is red and green.